Yet to make your bucket list? Life is too short to live without doing some interesting things. You may be lucky to get some few decades of existence to engage in cool stuff before checking into the sky’s big backpacker hostel. Here are the top 5 experiences that you can’t resist to tell your family and friends after trying them out. Cycling Bolivia’s ‘Death Road’ might just be the last thing you’d want to do in your lifetime. Running from La Paz to Coroico, the 64km North Yungas Road has a renown since 1995 as the globe’s most dangerous roadway. The Death Road has claimed hundreds of lives over the years in accidents, including tourists. However, if you remember to use your brakes well and negotiate corners sanely, it’ll all be fine. You could also take a thrilling trip that La Paz’s cycle companies offer to have a feel of snow and ice at heights of between 4,600m and 1,200m. This is a complete cycling adventure on a narrow road with tight bends and no guard rails. Today, it’s possible to use Google Maps to navigate the Amazon. This can make you think there’s no reason for going there in person. However, there’s still so much to learn about Amazon’s timeless, mystical romance that TV documentaries and modern tech cannot offer you. The anacondas, piranhas, jaguars, and indigenous tribes make the South American Rainforest a lush, majestic sphere that evokes a child-like adventurous spirit. Here, an old guide can help you head down the river on an old boat to feel like you’re a movie star. Mist shrouds it. Steep escarpments and lush vegetation surround Machu Picchu’s sprawling Inca citadel. This spectacular location meets your every expectation. This is Peru’s best-known archeological site. 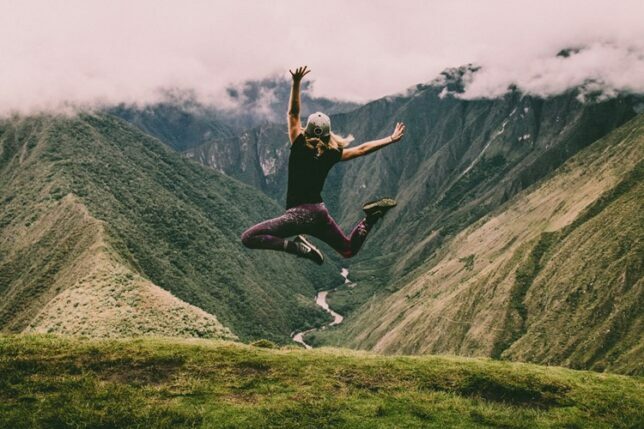 For the best experience, Kandoo Adventures helps you plan your Machu Picchu trek. The Machu Picchu itself is the adventure’s climax. The trail is cool, mysterious, immense, and almost unbelievable. Try to go with an open mind. Don’t read many blogs and brochures about it. Otherwise, the well-maintained rocks might underwhelm you. There are lots of places you could visit in Africa. South Africa, Botswana, Mozambique, name it. However, the most adventurous trip you could ever take is probably a Kenyan safari. The woodlands full of Africa’s Big Five animals (lion, leopard, elephant, buffalo, and rhino) can blow you away. Plus, you can experience vast rivers and arid plains. There are many unforgettable sights in the world and the Great Wall of China makes to the list. The 7m-thick, 7m-high fortification can blow you away. Take a few days walking between its battlements, evading tourists and hawkers for less-visited sections. After you’ve seen, walked, and touched the wall, it’s still not easy to believe a human built it. These are just some of the few things that you might want to put on your bucket list. Remember that life is very short. Even if you die on Bolivia’s Death Road, you’d have accomplished a something notable in your life. However, you can have great experiences and still come back safely.